Although it’s springtime, but cold doesn’t seem to be convinced that his time for now is over. One day we’re in short sleeves and the next day we’re wearing raincoats!! We’ve seen rain and cold last week, and the first thing that came to my mind for lunch was soup. Not any soup, but yummy Pumpkin and Sweet Potatoes Soup. The first time I had it was in Lapland. 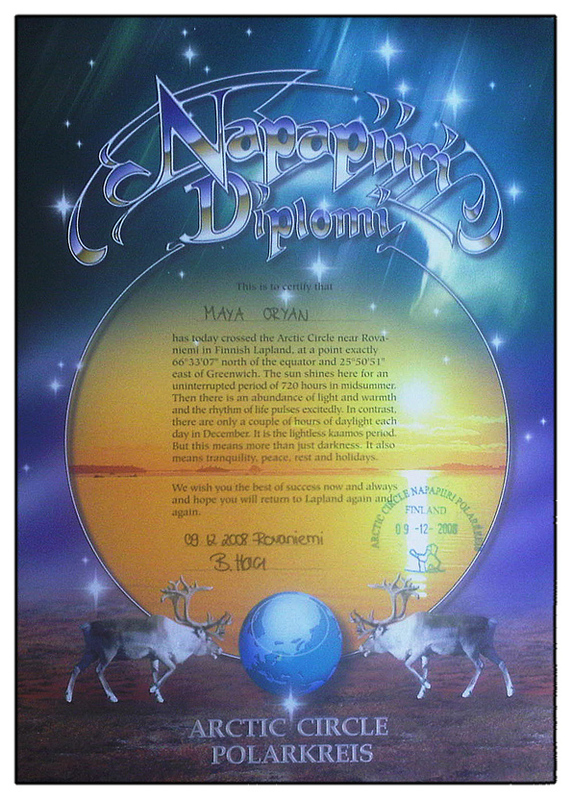 Yes, I’m one of those proud travelers who crossed the Arctic Circle (see attached certificate)!!! I recommend this soup, especially for those who have toddlers at home. 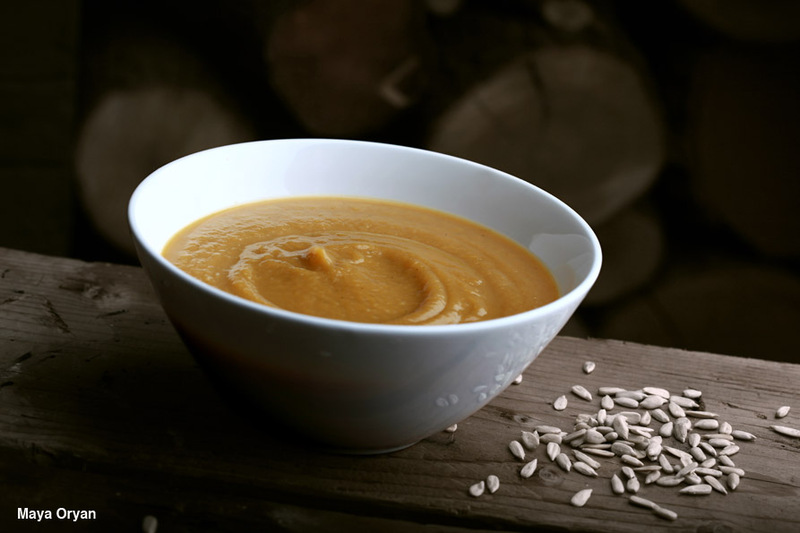 Pumpkin is loaded with lots of minerals, including iron, magnesium and potassium. It is also a high source of vitamins A, C, K and E and antioxidants carotenoids. It is low in salt, cholesterol and saturated fat. Time to take out your casserole and start! 1. In a large saucepan melt the butter. Add onion and garlic, and cook until the onion has softened. 2. Add the pumpkin, sweet potatoes and stock. Season to taste. Cover and simmer for about 20mn or until pumpkin and sweet potatoes are tender. 3. Remove from heat, and blend with a hand stick blender. 4. Transfer to a clean saucepan, add the milk and cook for another 5mn. 5. Top with cheese and garnish with pumpkin seeds. Serve! This entry was posted in Recipes and tagged food photography, Food Stylist, lebanese food blogger, Maya Oryan, pumpkin, Pumpkin and Sweet Potatoes Soup, seeds, soup, sweet potatoes by Maya Oryan. Bookmark the permalink. I’m not a soup guy, but this one is different.